Quickly and easily clean your vehicle's interior with the help of The Original California Dash Duster. 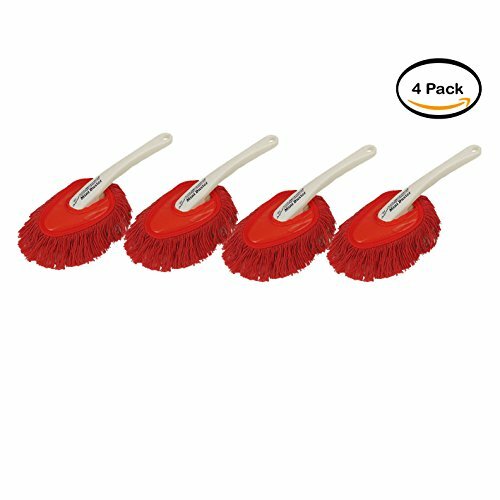 The handle is constructed of sturdy and durable ABS plastic for long-lasting use and the mop head is made from soft cotton fiber for maximum results. Each strand of this car duster brush is equipped with an exclusive baked-on paraffin wax that is specifically designed to lift dust without pushing it around the interior. In addition, the mop head has a wedge shaped design that gives quick access to hard-to-reach areas. It is safe and non-toxic and there is no need to use spray waxes or cleaners with this versatile duster. It can be used at home, at work and in the classroom. It is ideal for use in campers, trucks, SUVs and cars. This hassle-free California car duster is easy to use and is designed to save money and time. If you have any questions about this product by The Original California, contact us by completing and submitting the form below. If you are looking for a specif part number, please include it with your message.